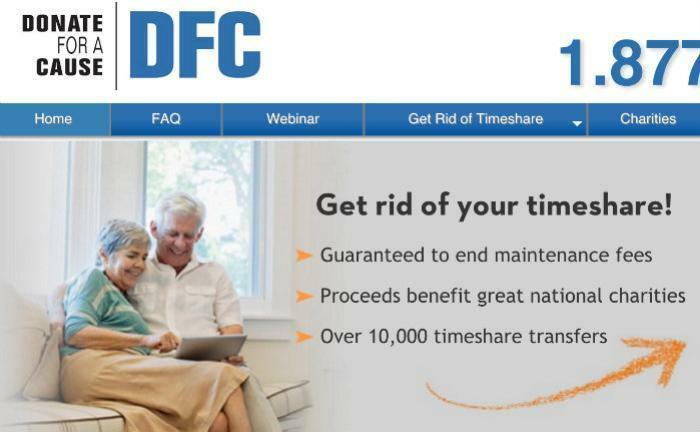 There is no shortage of consumers looking for a way -- any way -- to get rid of their timeshares, but the Justice Department says in a lawsuit that a timeshare donation scheme, Donate for a Cause, is a scam. Consumers who donate their timeshares to the supposed charity are promised "generous" tax savings, which are based on allegedly inflated appraisals and are then charged inflated closing costs by a firm controlled by James Tarpey, the Montana lawyer who's behind the scheme. The federal lawsuit alleges that Donate for a Cause is simply used as a conduit to briefly hold title to timeshares before they are sold for a fraction of the appraised amount. For example, the complaint alleges that one customer transferred a timeshare to Donate for a Cause that had originally been purchased for $10,597.50. Donate for a Cause used eBay’s charity platform to sell that timeshare to a third party for only $81, yet Tarpey appraised that timeshare for $8,740, the complaint states. According to the complaint, the timeshare donation scheme was aggressively marketed via the Internet and through national and local media outlets, including ABC 7 News in Los Angeles; Fox 10 News in Phoenix; the TODAY Show, and Fox 4 News in Kansas City, Missouri. Clips of these news-based promotions are posted on the front page of the Donate for a Cause website. Besides Tarpey, the lawsuit names three associates, Ron Broyles of California, Curt Thor of Washington, and Suzanne Crowson of Montana – all of whom, according to the complaint, assisted Tarpey in running the timeshare donation scheme.